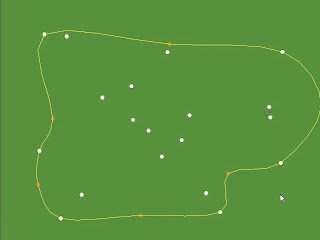 How to generate a racetrack-shaped mesh from a series of points? I'm very new to Unity, so I apologise if this seems like a bit of a silly question. 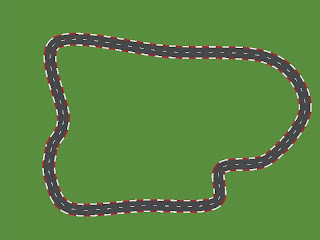 Now, I have no idea how to turn this series of points into a mesh (or whatever 2D equivalent I should use for a top-down racing game). Does anybody have any related articles or advice as to what to do next? I'm basically trying to turn this into this.